WASHINGTON — Northern Virginia could become home to one of the largest solar power plants in the country, and a public hearing on the plan is set for Tuesday afternoon. Solar energy company sPower wants to build the 500-megawatt project on about 3,500 acres, or nearly 5 1/2 square miles, of land in western Spotsylvania County. The total area of the site is 6,350 acres. At least 2,000 acres will be preserved as open space. See an interactive map of the project site. 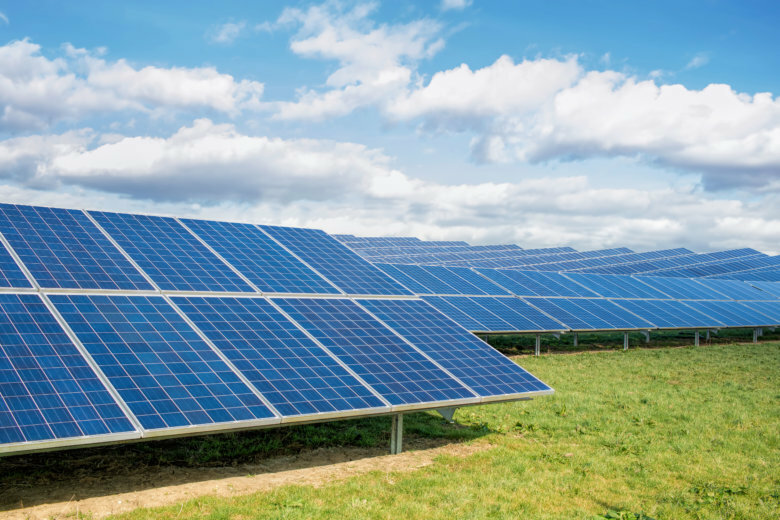 “Toward the end of 2016, we identified a growing need in Virginia for green energy centered around the large data center providers,” said Daniel Menahem, senior manager of solar development with sPower. The buyers of the electricity would include Apple, Microsoft, Akamai, Etsy and the University of Richmond. “[The] Apple, Microsoft, Google, Facebook, [and] Amazons of the world all have, and are continuing, to situate their data centers in Virginia, because 70 percent of the world’s internet goes through Ashburn,” said Menahem. But some local residents are not sold on the idea, citing concerns about the proposed facility’s vast scale and proximity to historic battlefields. “We are not anti-solar. We don’t think that this particular size plant is right for a residential area,” said county resident Kevin McCarthy, a member of grassroots opposition group Concerned Citizens of Spotsylvania County. The group opposes it for other reasons, too. “We estimate the county is going to lose tens of millions of dollars, anywhere from $20 to 80 million in tax revenue,” he said, because the property value of existing homes will drop — something sPower disputes — and a bunch of would-be residential lots will be sold to sPower if the plan goes through. Menahem said as many as 1,000 construction jobs will be created over two years, and once finished, the project will provide 25 to 30 full time jobs. The company is also pledging to add solar panels to school rooftops, team up with Germanna Community College on training programs and use the power plant as an educational center. Menahem also said sPower has modified its plans in response to some of the community’s concerns. A petition drive launched by Concerned Citizens of Spotsylvania County in an effort to stop the project has been signed by more than 1,000 people. But the proposal has already earned approval from the Commonwealth. “The project does not have a negative impact on Virginia ratepayers, and the project does not have a negative impact on the grid,” Menahem said. What remains to be decided is whether the county will sign off on special use permits. A public hearing will be held during Spotsylvania County board of supervisors meeting, which is scheduled to start at 4:30 p.m. Tuesday.